Just play any KARAOKE song from your mobile, connect the mobile thru aux, adjust the phone volume and sing along with the given brilliant mic! 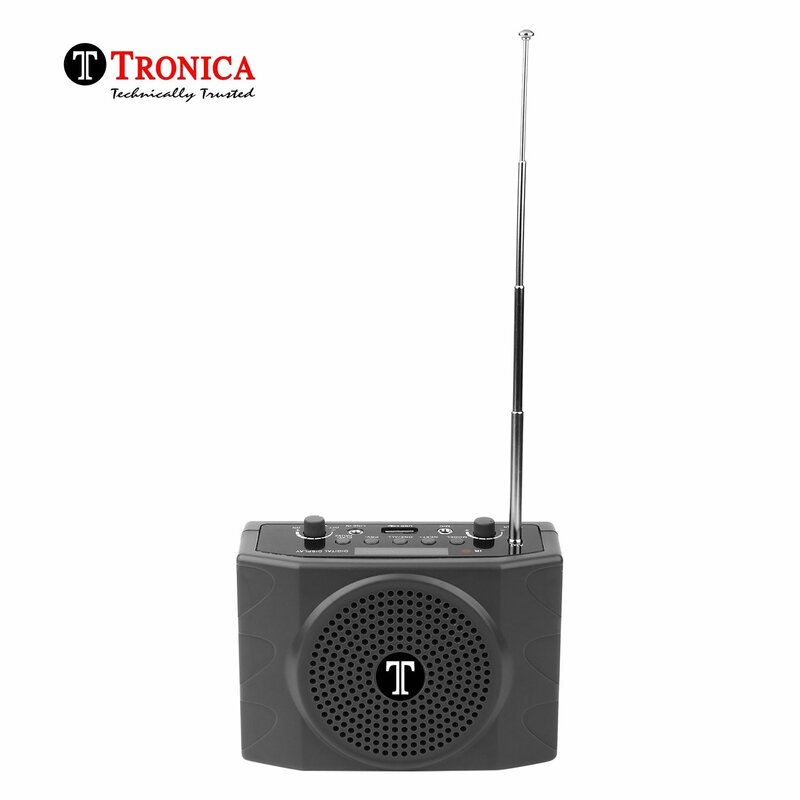 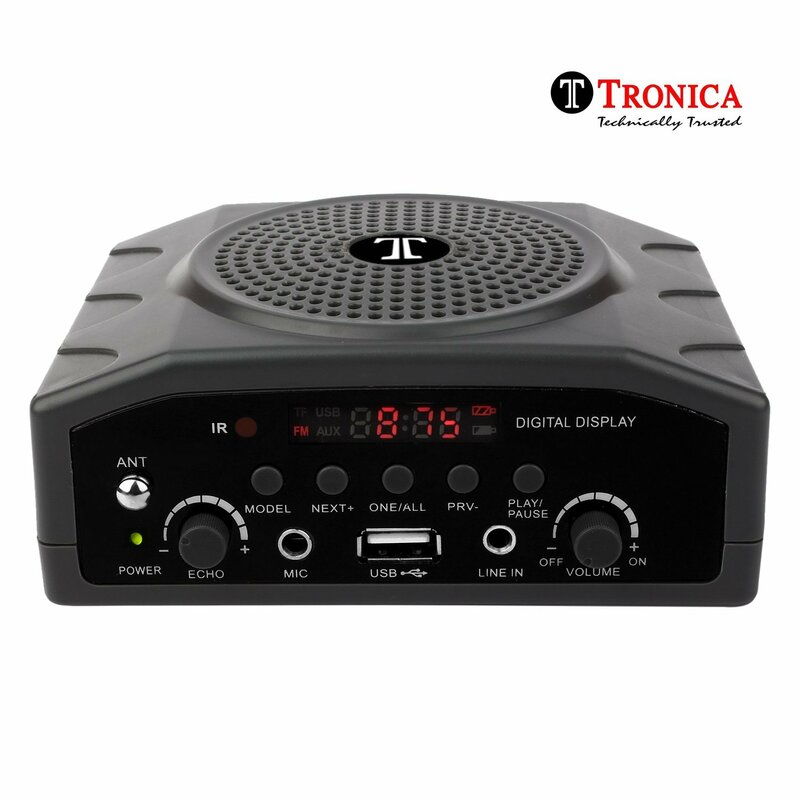 This is the best ultra portable multimedia speaker with a elegant MIC from the trusted brand TRONICA which not only plays FM,Pen Drives but it also works like a unique teaching tool. 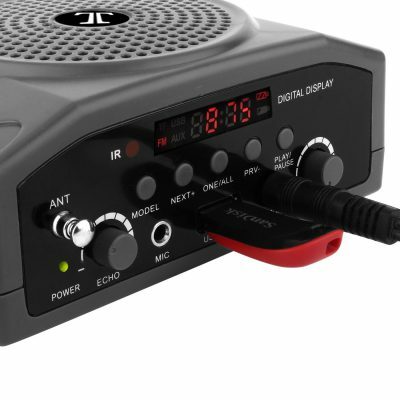 This PA system comprising a 12W amplifier and a speaker with multimedia player housed in an attractive plastic cabinet. It is powered by a 1800 MAH rechargeable battery, giving a battery backup of 3-4 hours. 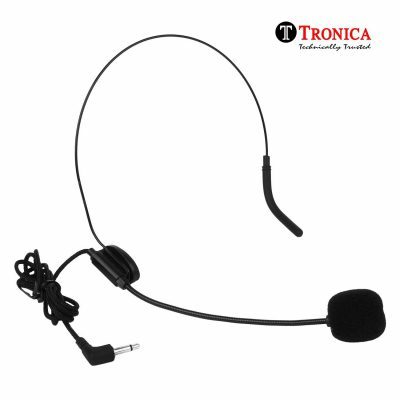 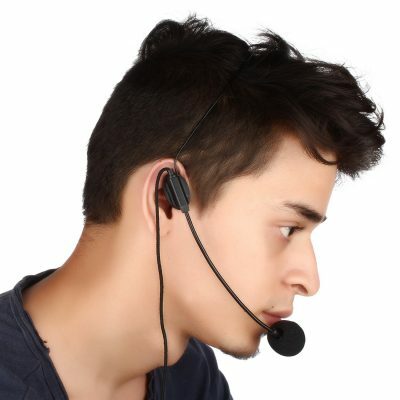 It is supplied with a condenser headband microphone, neck strap and an AC power adapter. 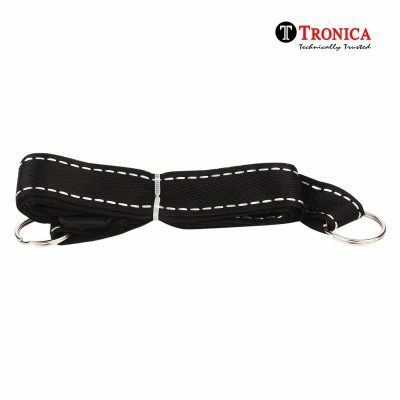 This is ideal for teaching, tour guides, yoga classes, play schools and various small group activities. Special circuitry provides low distortion even at high output power. 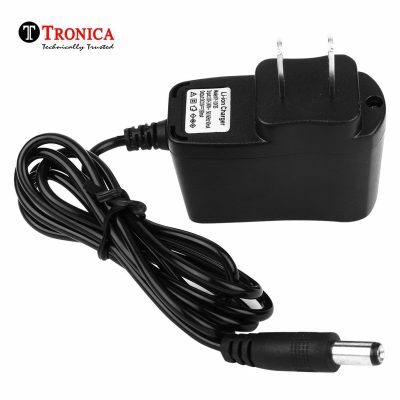 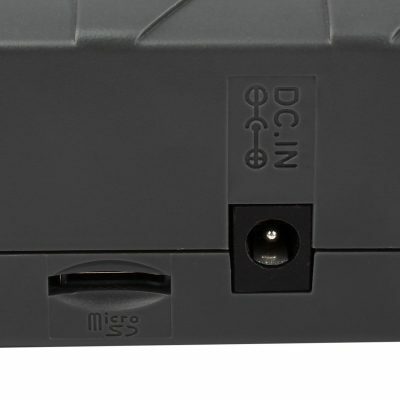 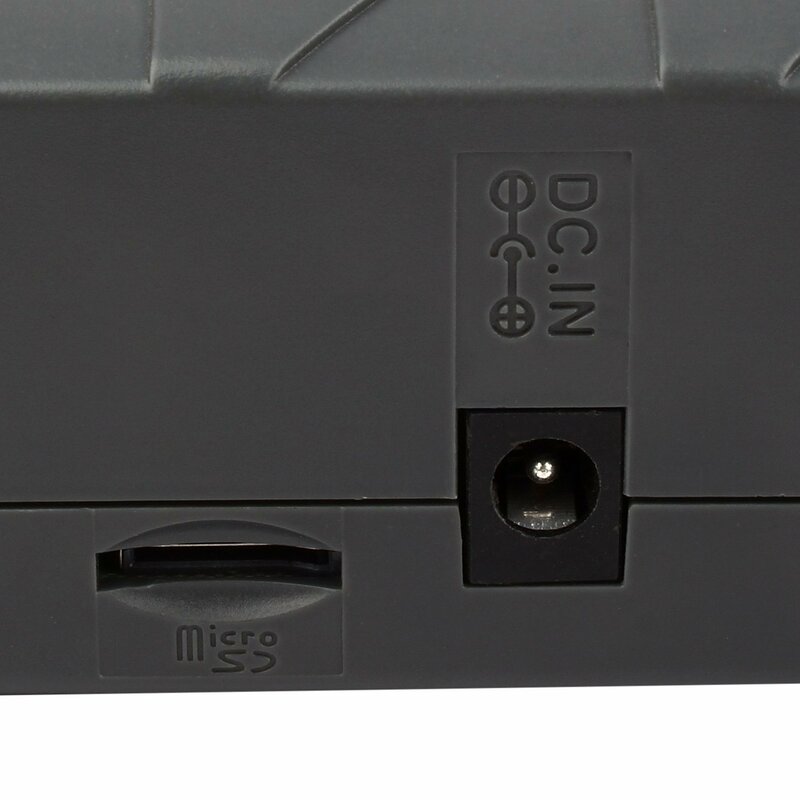 3.5mm Mic input socket for connecting the headband microphone and 3.5mm Line input socket for connecting a DVD, CD or an MP3 player & pendrive .The unit can be used while hanging on the shoulder or by putting around the waist. The KARAOKE mic will make alive the hidden KISHORE JI or LATA JI within you!